This is Emlyn, support worker champion and bag chucker extraordinaire. He supports Burnley FC who could do with a “hand” in the Premier League right now! Our electrician Steve is back on Crest in Motion. 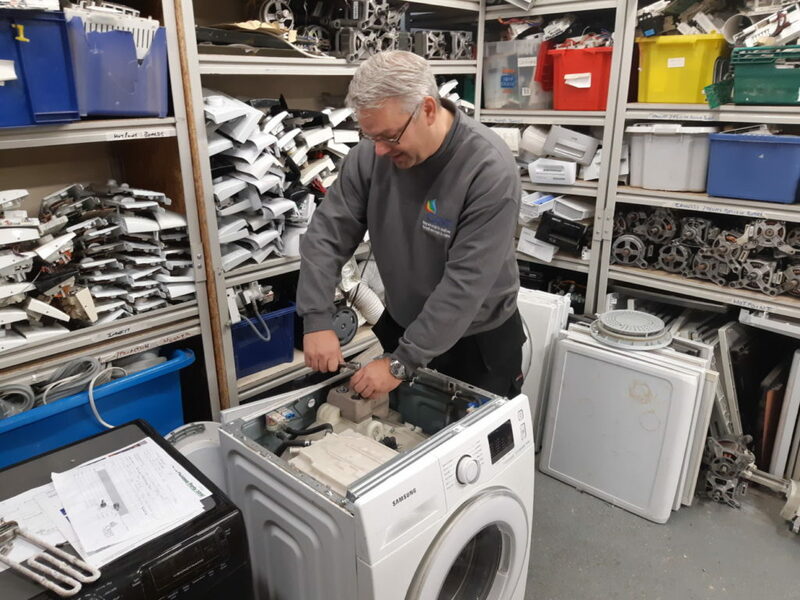 Here he is changing a concrete block on a washing machine. That’s what he told us anyway, but I can’t see any concrete anywhere! 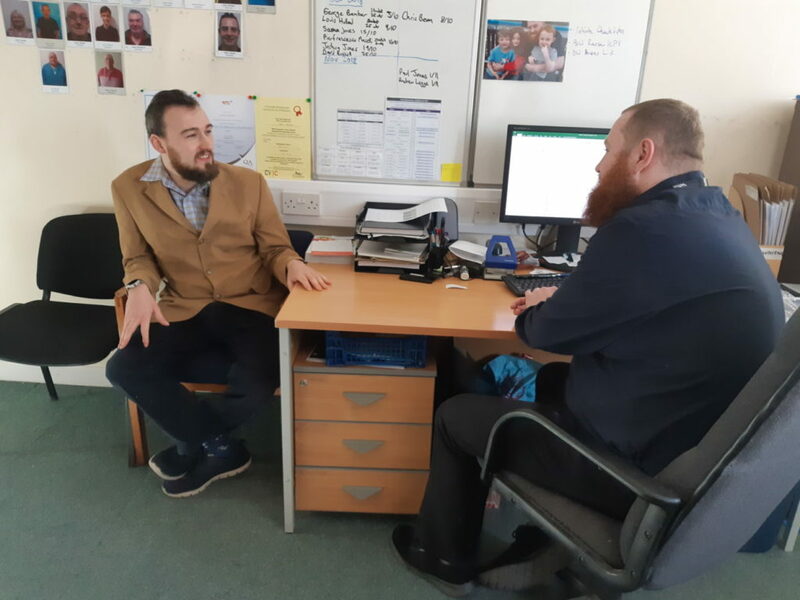 Here we have Joe and John from our Admin team having a chat about how Joe’s progress is coming along as he’s relatively new in post. 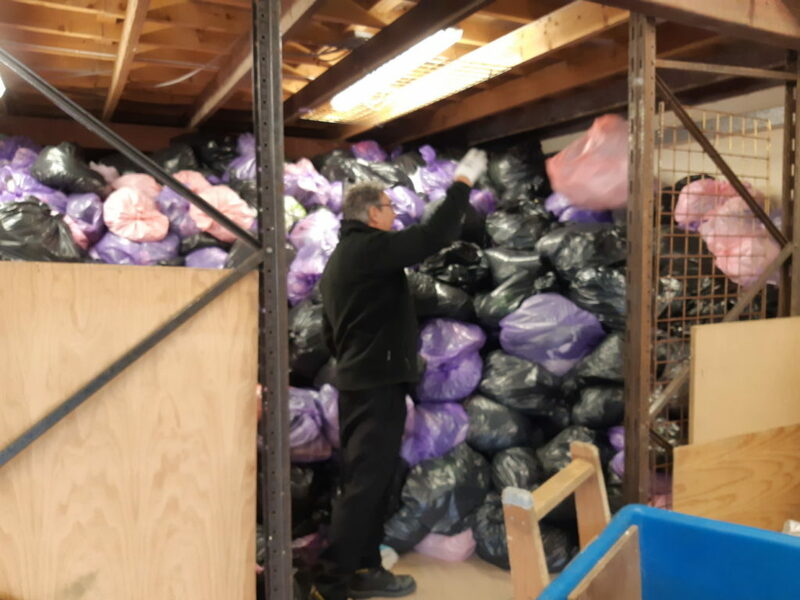 Joe is the guy to speak to if you want to book any household collections, so give us a call on 01492 596783 to donate any furniture! Kristine has been with us at Crest for many years and has been brilliant. Give her a task and she’ll crack on with it, smiling and laughing. 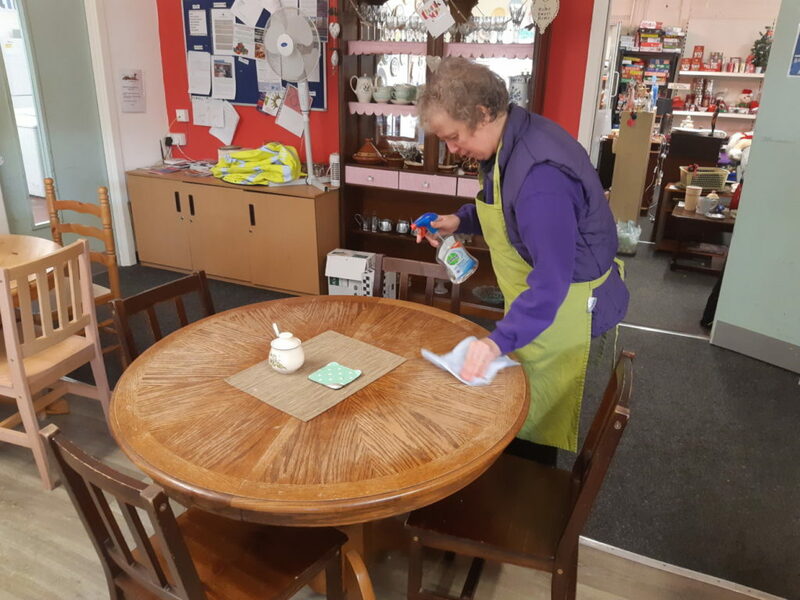 As you can see, our café’s kept nice and tidy because of the hard work Kristine and the other café staff put in, so come in for a cuppa if you’re passing! 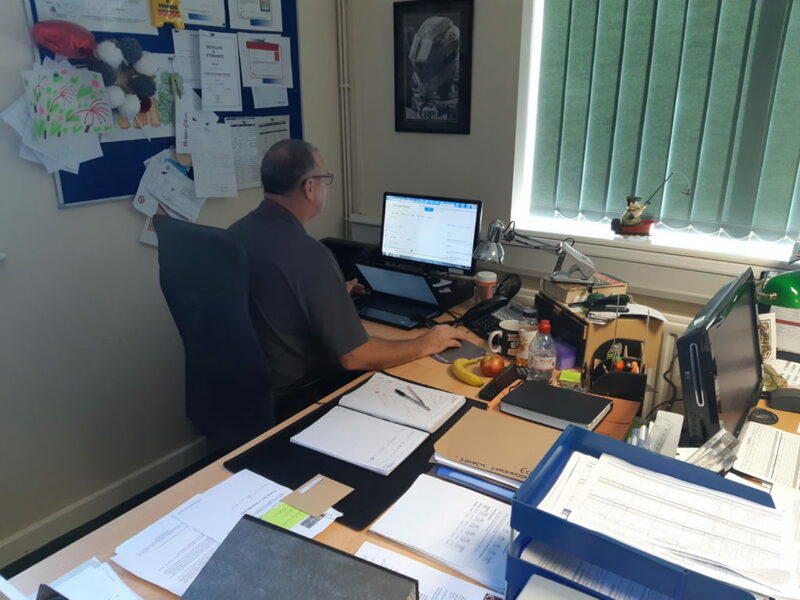 And finally, here’s Senior Manager Jay working at the head office. He’s the only person we know that uses a computer AND a laptop at the same time! And they say men can’t multitask!